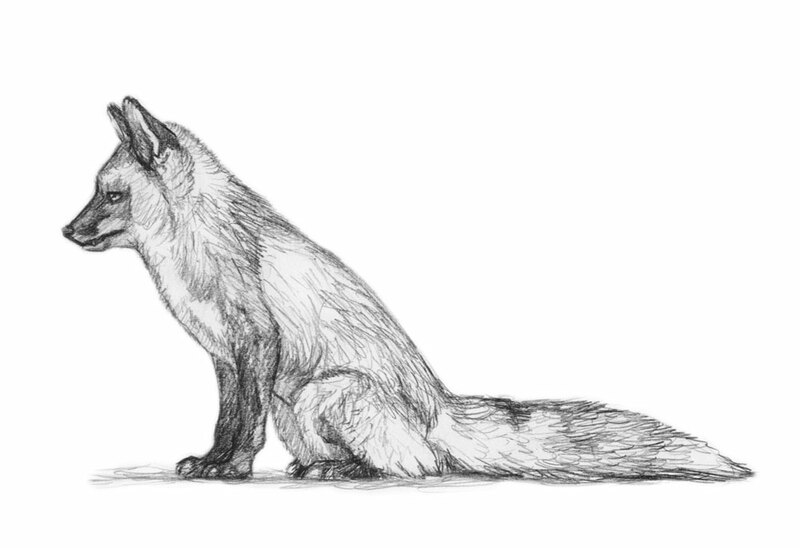 This is a sketch from one of my photographs I took of Todd, the red fox at the Sonoma County Wildlife Rescue. I’m planning on becoming a volunteer to help take care of the animals. Currently, they have foxes, cougars, coyotes, bobcats, hawks, wolf-dog hybrids, skunks, squirrels and raccoons in their educational animal section, ones that are permanent residences for various reasons. In volunteering and helping them out, I hope to get more photographic references, possible live sketch opportunities, and videos of some of the animals. Todd, their resident red fox, has neurological issues. He was hit by a car. He cannot be released into the wild, and as it goes for red foxes in the area, I don’t think they can release them back into the wild since they are considered to be a non-native species here. I think it will be very rewarding to volunteer at the rescue. Where is it? Nice they are willing to keep non natives.